Use this free article on your church, ministry, or personal website. See instructions. Every sincere Christian wants to have a more meaningful personal Bible study, to understand the Bible better. While learning the Bible is the joyful task of a lifetime, I'd like to offer several suggestions that can enrich your Bible studies. First, recognize that Bible reading and Bible study are both important, but different. In order to grow, you need to read the Bible every day as part of your time with God -- your devotions or Quiet Time. During this daily time with God I recommend prayer, wide Bible reading, praise, thanksgiving, confession, and meditation -- these are ways to reach out to God with your spirit. Bible reading is one way of letting God refresh your spirit and speak to your mind. If you really want to learn the Bible, I recommend that you read broadly rather than narrowly. A one-verse devotional may be quick, but it won't really help you understand the Bible. I try each morning to read one chapter from the Old Testament, one chapter from Psalms or Proverbs, and one chapter from the New Testament. If I'm consistent, this will get me through the Old Testament once each year and the New Testament twice. That's an example of broad reading and takes five to 10 minutes a day -- 15 minutes if the day's chapters are long. But Bible reading as part of your daily devotions should be separate from your times of Bible study. Let me explain. Bible study, as opposed to reading, concentrates on a single topic, Bible character, or book of the Bible for closer study. For example, right now in the New Testament I'm reading the Epistle to the Hebrews. I'm realizing that though I've read it many times, I need to dig in and figure out what it's really saying. That's where Bible study comes in. Bible study takes a longer block of uninterrupted time. Perhaps you'll set aside 30 to 45 minutes on Tuesday and Thursday nights for in-depth Bible study, or an hour on Saturday mornings before the family is up -- or perhaps longer. Blocks of time are important to Bible study. What does "born of water" mean in verse 6? What does "born of the Spirit" mean? What does "born again" mean in verse 3? You'll be able to think of more questions. The key is to develop a questioning mind, and you'll learn. You won't find answers to all your questions, of course, but over time many will be answered. One main difference between reading and studying is writing down what you learn. This isn't just so you'll remember it later. The very act of writing requires you to formulate your thoughts clearly. Writing forces you to recognize fuzzy thinking for what it is and push beyond it. Write down what your learning because it helps you understand it better. I recommend that you begin a notebook in which to record your observations or research. Forty years ago I began taking notes on 8-1/2" x 11" binder paper. In the left margin I would record the date. In the top right corner I would record the book, chapter, and verses of the passage I was studying. This made it easy to file my notes in scripture order. I began with a single 3-ring binder, but now my binders fill a five-foot bookshelf and beyond. I look back at some of my early insights and am reminded of how the Holy Spirit has taught me over the years. Start small, but take notes in a way that can be expanded easily. Another approach is to get a bound book that you can take notes in -- a kind of journal. (I've tried that, too.) Journaling has great value, but a bound notebook that contains many topics is difficult to organize or index in such a way that you can find your notes on a particular verse in the future. That's why I really like the binder paper approach. You could also take notes on a computer, naming the files in such a way that you can find them again or search an entire folder for a word or phrase. It's probably a good idea to print out your notes when you're finished and file them, however, since computer files have a way of getting lost after a few years. I am so glad I began the habit of note-taking with my Bible study. Now when I study a passage again, I know what I learned the last time I studied it and what I need to explore next. For Bible teachers, small group leaders, and preachers, such a notebook of previous studies becomes especially valuable. Literal word-for-word translation. This makes for accuracy, but can be pretty wooden to read out loud. A good example of this type is the New American Standard Bible. Dynamic thought-for-thought correspondence. Here the translator takes a thought in the original language and tries to translate it into the same concept in good English, without being tied to the exact words in the original. A good example of this might be Today's English Version (TEV). The best study Bible contains a balance of both. You want a careful, accurate translation, but one that reads easily and clearly for family devotions or public worship. Another issue is the underlying Greek and Hebrew text. The KJV translators worked with the best texts available to them in 1611, but in the last 150 years we have gained a much more accurate understanding of what the original text must have been. Nearly all modern translations are enriched by the translators working from the most accurate Greek and Hebrew texts possible. The King James Version (KJV, 1611) is, of course, the granddaddy of our English Bibles. For its day it was a very accurate translation and is still used in many congregations today. In 1984, the New King James Version (NKJV) was published as a whole Bible by Thomas Nelson. Translators modernized the language of archaic words substantially and removed most of the "thees" and "thous," though the original language basis remained the same as the KJV of 1611. For churches with a strong King James tradition, the NKJV is a popular alternative. The New International Version (NIV) was first translated as a whole Bible by evangelical scholars in 1973, with revisions in 1983 and 1988. It is an excellent balance between readability and accuracy of translation. For years it has been the most popular newer translation in the United States, especially among evangelical churches. New American Standard Bible (NASB or NASV), translated by the Lockman Foundation, was published in the whole Bible in 1971 and revised in 1977. Its big strength is its consistency in literally translating words and tenses. It is known as a very accurate translation, though perhaps not as easy to read aloud as some others. New Revised Standard Version (NRSV, 1989) and its predecessor the Revised Standard Version (RSV, 1952) are careful translations in the King James tradition. Several Protestant denominations prefer the NRSV. It is both accurate and readable. Of course there are many other modern translations, many of them good for serious Bible study, too numerous to list here. The original Living Bible and The Message are not translations, but paraphrases. They can be refreshing to read but aren't good Bibles for careful study. Cross References. In a column next to the text, a study Bible lists several other verses with a similar idea or theme. For example, for "Nicodemus" in John 3:1, my Bible refers me to John 7:50 and 19:39 where he appears again. For "Rabbi" in verse 2, the cross references send me to Matthew 23:7 which has nine more references on this topic that I can explore. These cross references won't be comprehensive, but will point out the main passages that discuss this idea. Bible Book Introductions. It's important to know something about the author, date, themes, circumstances, and intended audience of the Bible book or letter you're studying. In most study Bibles you'll find one to three pages of introductory comments for each book with a brief outline. Study Notes or Annotations. Study Bibles have footnotes at the bottom of the page to help explain some of the more obscure ideas you'll run across -- a kind of mini-commentary. Remember, these aren't part of the Bible itself, but can often point you in the right direction in your study. These notes are usually indexed for easy reference. Concordance. You've had a verse on the tip of your tongue, but don't know exactly where it is. A concordance helps you find a Bible passage if you can think of a key word or two that the verse contains. A concordance can also help you find other verses that teach a concept or use a word found in the passage you're studying. Topical Index. In addition to a concordance, some study Bibles have a separate topical index that helps you find scripture references on a particular topic. Maps. Part of understanding what's happening in narrative passages of Scripture is learning the geography, the location of cities, battles, mountains, valleys, enemies, etc. Other features you may find include articles on various topics, a brief Bible dictionary, outlines of topics and Bible books, index of place names, time lines, and so on. Bible Handbook. Provides a great deal of information about each book of the Bible, life in Bible times, history of the English Bible, etc. Bible Dictionary. Brief articles on each significant subject, word, and person in the Old and New Testaments. You'll often find helpful summaries of Bible teaching. Bible Concordance. While study Bibles provide an abridged concordance, you can find an unabridged concordance that helps you find every occurrence of a particular word in the Bible. The best-known of these is Strong's Concordance (based on the KJV) which identifies each Greek and Hebrew word, and gives it a brief definition and a number. Now concordances are available for the NIV and NASB containing Strong's numbering system. Bible Commentary. Bible commentaries provide an overview and running explanation of each book of the Bible. A good place to start might be with a fairly recent one-volume commentary on the whole Bible. There are also a number of inexpensive commentary series available that cover each book in the Bible, if you want to study a particular book in greater depth. Word Study tools include an interlinear New Testament that shows the Greek text on one line and a literal English translation below it. A Greek-English Lexicon provides clear, precise definitions for each Greek word in the New Testament. Some of these are keyed to Strong's numbers so they can be used by students who haven't learned to read Greek letters. Similar resources are available for Hebrew as well. Topical Bible. A topical Bible will give a great many scripture references listed by topic. Great if you're doing a topical or thematic Bible study. Bible Atlas. An atlas contains more than detailed maps. It also describes the geography and places of the Bible, usually with fascinating illustrations and archeological details. If you need advice on Bible study books, ask your pastor or the manager of a Christian bookstore. Some of my Bible study tool recommendations are available online. 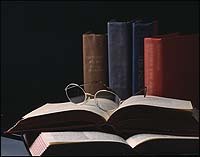 These days many Bible study resources are available online at no cost, such as Crosswalk Bible Study Tools (bible.crosswalk.com). You can also purchase excellent Bible study software for your computer. It's possible to be so engrossed in Bible study that you forget the most important purpose of Bible study. It's not Bible knowledge for its own sake nor being able to quote verses and recite orthodox doctrine. Ultimately, the purpose of Bible study is to learn exactly what the Bible teaches so that you can apply its teachings to your life. What did it mean to those reading it in Bible times? What does it mean to me as I seek to apply it to my life? My prayer is that your Bible study results in a heart that is tender to listen to what the Spirit is saying to you through Scripture and a will that is determined to live out in your everyday life what you're learning.